Ascending Butterfly: Britax B-Agile Double Stroller! Did you know my *Daddy Butterfly* was a twin? Twins run on BOTH sides of my family so I already know what could happen when I'm ready to take the motherhood plunge (and by when I probably mean IF, LOL). There is a very high probability of me having twins. Thankfully the prospect is a little less scary thanks to Britax's new B-Agile Double Stroller! The B-AGILE DOUBLE STROLLER, is the company’s first stroller to offer side-by-side seats. 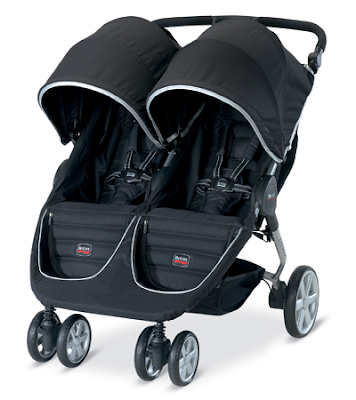 The light-weight double stroller offers the same quick-fold design and great maneuverability that made the single B-AGILE a top seller, but now with capacity for two children (appropriate from birth to up to 50 pounds per seat), making it an ideal solution for those families traveling with multiples. Ƹ̵̡Ӝ̵̨̄Ʒ - 2 large, full coverage canopies. The canopies are independent and each has a mesh peek-a-boo window. Ƹ̵̡Ӝ̵̨̄Ʒ - Adjustable handle. At its normal position the handle is 41 inches (waist high), it can be adjusted to 31 inches if desired. Ƹ̵̡Ӝ̵̨̄Ʒ - Front wheel suspension. It absorbs many of the bumps to ensure child comfort. Ƹ̵̡Ӝ̵̨̄Ʒ - Weighs only 28 lbs. Ƹ̵̡Ӝ̵̨̄Ʒ - CLICK and GO integrated adapter system makes it compatible with both the Britax B-Safe and Britax Chaperone infant car seats! Which is totally cool. Please note: only one car seat can be utilized at a time. Ƹ̵̡Ӝ̵̨̄Ʒ - 2 large zippered pockets located on the back of each seat - can easily fit toys, a diaper bag and MORE! You can purchase it on Amazon or any of your preferred Baby Retailers, just don't forget to maximize your spending dollar and join the Britax Registry Rewards program! Traveling with Multiples is enough of a challenge, if you can find a product that takes child safety as well as YOUR convenience in mind, it makes your life that much easier! 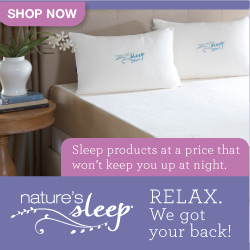 Think of it as investment for both your children's safety and your peace of mind! Any Multiple Mom Butterflies out there who have tried this stroller out already? Please weigh in and let us know what you think!